But, before we get to that, we've got to answer the basic question. 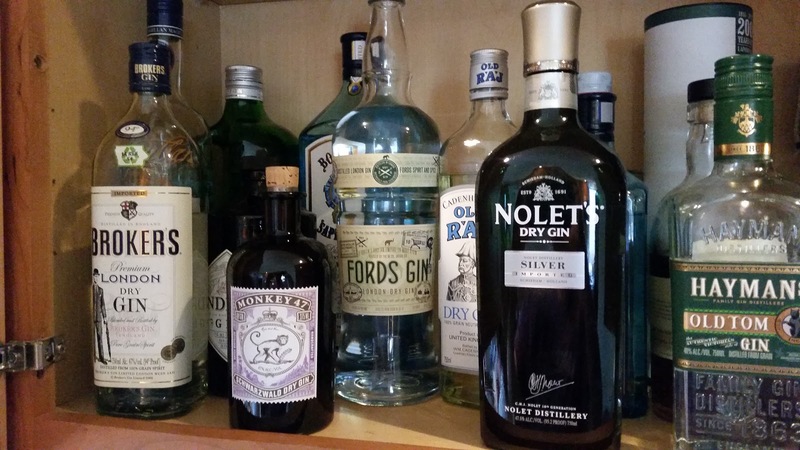 Just what the hell is gin? As always, I began the Ginquest with a stop at the Font of All Knowledge, Wikipedia and the extensive wiki-page for gin, which includes an extensive history on where it all began- namely, Holland in the mid-17th Century. It was around and kicking after the Restoration, but didn't really breakout in England until William of Orange and Queen Mary took the throne in the Glorious Revolution of 1688. But what is it? An infused spirit involving juniper berries and a variety of other botanicals. There's a variety of what can be added or used in gin, but juniper is the common denominator. Juniper, looking at the picture, seems to be from a conifer of some kind- which probably explains why gin puts so many people in mind of a Christmas tree, at least with it's aroma. 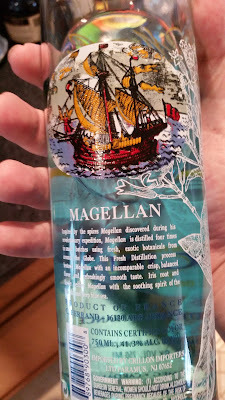 But there's actually a surprising broad range of flavors that gin can produce, which makes Magellan Gin such a unique gin to begin our quest with. First of all- the bottle in the picture isn't blue, the gin is. It's a nice, subtle shade of blue, which makes for a nice looking gin and tonic (more on the other half of that equation in a second) and it uses a blend of eleven botanicals: cloves, cinnamon, coriander, cardamom, licorice, nutmeg, grains of paradise, cassia, iris root and flower and of course, juniper berries. I don't know how to properly taste gin straight up yet- or if people even do, so I sort of approached it the same way I did whiskey. Poured myself half a shot and took a good long sniff before giving it a taste. Here's where I wonder about gin-tasting though: the overall aroma didn't seem all that botanical and put me more in mind of nail polish remover or even turpentine. The taste was surprising gentle- you'd expect it to be harsher, but the viscosity was light and smooth and the overall finish was not at all harsh, with just a mild burn. So, we're off and running on... The Ginquest!